Human resource manager or a team leader is requiring managing multiple tasks together while ensuring availability of require workers all the time. Now remain aware of the employee absence schedule in the busy season or holiday season using employee vacation planner template 2018. Most organizations have arrangements if any of the employees is not available however you can now reduce costs for extra staff with using this template. Employee data could be useful while surveying yearly costs as well as assessment of the work. Utilize this vacation planner template to record whether every employee is available on the specific date and track where he is working at the moment! This excel worksheet can be use again and again for a single branch or multiple branches. 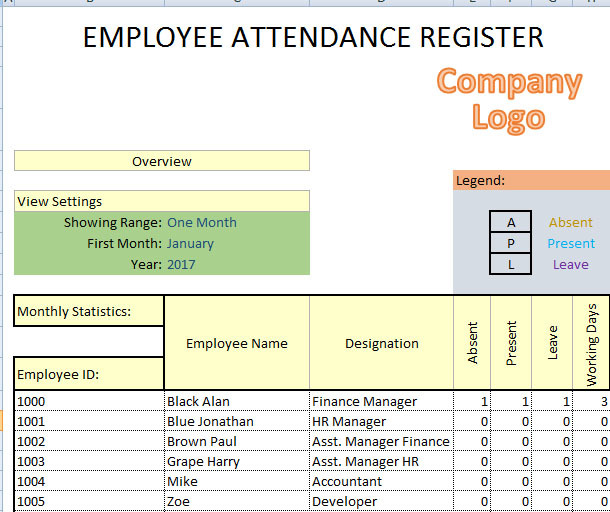 Reduce the cons of employee absenteeism and ensure your operations on time using this high-quality yet free excel sheet. You can likewise include tabs or columns for making it fully personalized for your company. Check out request day off calendar. The dashboard for the vacation planner show the understaffed days, when the employees require are less than the number available. Track the efficiency of HR department using the dashboard. This provides summary of the staff as well. Dashboard is prepared automatically base on the data in the table, which is main body of the template. Weekends are not added in the template. 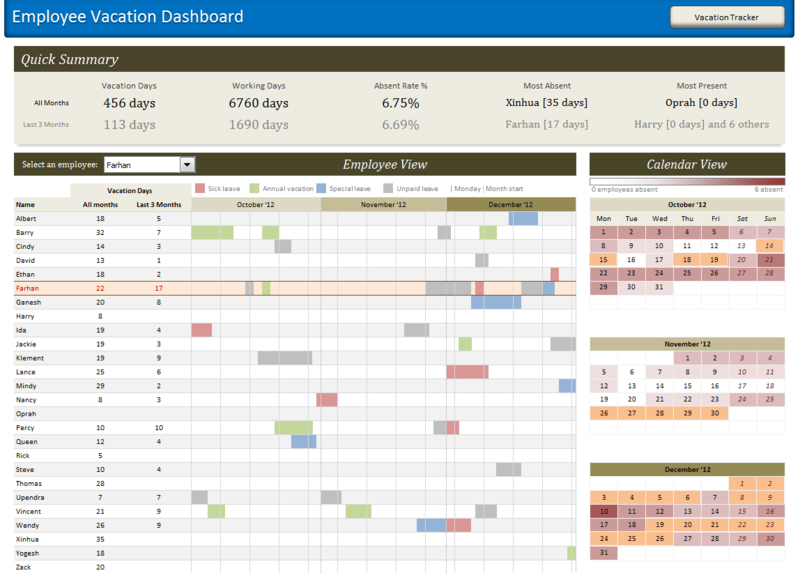 Analyze the dashboard for employees, working days and understaff days. Bar chart is available showing the employees at work and the days when staff is short as well. Enter start date on the top of table. This shows the data and dashboard for the specific date. Now enter the number of employees need daily. Understaff days are based on this data. Here a list of weekdays is available. Tick the days which are part of the weekends. Usually the choice is Sunday or Saturday and Sunday. Enter the date for the holidays so that they are not include in the template. You are able to add 5 holidays, however you can add more if require. This table consists of employee name, vacation start date and vacation end date. If any of the employees is not interested in taking the vacation, simply don’t add his name. In case an employee has plan 2 or more holidays in the month, add them in the separate rows. Now you are able to see the calendar for the month as well. It shows employee name, holidays as planned, weekends and holidays as well. Orange bar indicate holidays, green for the vacations and grey for the weekend. According to record monthly leave, you can easy to track employee performance base on project. Leave convert to holiday tracker sheet, and base on employee attendance or leave their holiday planned. There is many online vacation tracker in market either create in cloud base application (.Net, Oracle) or simple VBA base excel software. According to company size and type you need to redesign this system on your choice. For custom selection of employee vacation planner template excel 2018, you can both Request team Techniology or Template124 and submit your plan query.